Today, I'm entering for the first time into the I Heart Faces Photo contest. 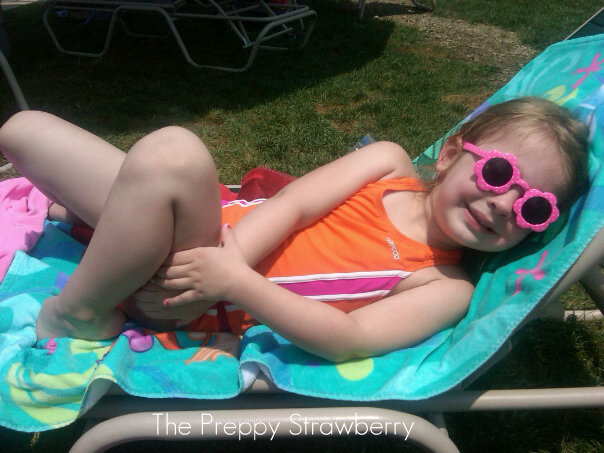 When I saw today's challenge I remembered I snapped this picture on my BlackBerry of Lilly poolside laying out with her sunglasses on! I love this picture and figured this was a good way to start off the week! It is a good way to start off the week! She is adorable and you really caught some summer cuteness. I think I want a Blackberry too now. What a little cutie. Love the flower glasses.